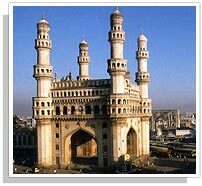 IJCNLP-08 conference will be held in Hyderabad, India on January 7-12, 2008. The conference will feature a special session for exhibitions (for industry) and demonstrations (for academic institutions). The session is a good opportunity for your company or institution to address a wide variety of experts and potential customers in the field of natural language processing and its application areas. The session will be held between Jan 8 and 10, 2008, at the main conference venue. The exhibition/demo should showcase implemented systems in any area of computational linguistics. Submissions should follow the two-column format of ACL proceedings and should not exceed four (4) pages, excluding references. Please follow the ACL 2007 style files at http://ufal.mff.cuni.cz/acl2007/styles/. The submission should include an extended abstract with the title, authors, full contact information, and a system description. The description should provide sufficient details to allow the evaluation of its validity, quality, and relevance to computational linguistics. Pointers to web sites running a demo preview will also be helpful. In addition, the submission should also include a detailed requirement description of hardware, software, and network access expected to be provided by the local organizer. The submission deadline is 11:59pm GMT Oct 24, 2007. Accepted submissions will be included in the Companion Volume to the Proceedings of the Conference. The final version can have up to six (6) pages including references. The exhibition fee (for industry) is $1000, and the demo fee (for academic institution) is free with a required conference registration.